The status of non-governmental organisations and human rights watchdogs in Hungary will worsen in the near future. In mid-May 2017 the government will vote on a bill that will impose additional reporting burdens on NGOs. If an NGO receives more than $24,750 from foreign sources it will have to register the amount of funding received, as well as to label itself “foreign-funded” on its website and other materials1Hungary’s plan to brand NGO’s has sombre echoes of Russia’s foreign agents law, Transparency International, 7 April 2017 https://www.amnesty.org/en/latest/news/2017/04/hungary-plan-to-brand-ngos-has-sombre-echoes-of-russias-foreign-agents-law/. At the end of March the Hungarian Parliament voted on the amendment of Act CCIV of 2011 on National Higher Education. The amendment targets the Central European University, the biggest private university in Budapest. The public has been supporting CEU with an #Istandwithceu rally, asking the Hungarian President Janos Ader to turn down the amendment and send it to the Constitutional Court. Despite public opinion, Ader signed the bill on 10 April. Under one of the amendments, a foreign university in Hungary must have a campus in the country of its origin2T/14686 Amendment of Act CCIV of 2011 on National Higher Education http://www.parlament.hu/irom40/14686/14686.pdf. According to Zoltan Balog, who introduced lex CEU to parliament, the university has been enjoying the privileges of a foreign institution. “This breach of justice happened in 1993 when there was a lot of non-transparent processes in legislation, so now it is time to stop the chaos,” he said3Balog on the Amedment, 180 minutes, radio Kossuth, 04.04.17 http://www.hirado.hu/2017/04/05/balog-az-elojogok-megszunteteserol-van-szo/#. 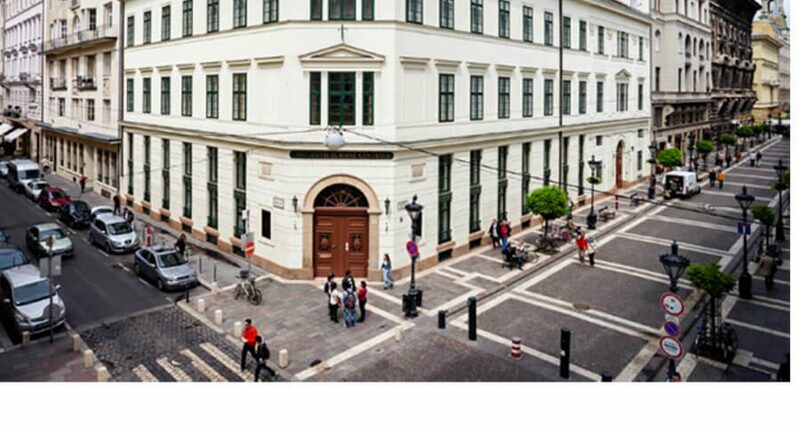 Located in the centre of Budapest, CEU is registered in New York and accredited in both Hungary and the USA. In order to comply with the amendment the CEU has to establish a campus in the jurisdiction of New York State within an impossible timeframe, and stop awarding degrees accredited both in Hungary and the US. Hungary asks for an international agreement between the U.S. Government and Hungary, though higher education is a state competence in the U.S. over which the government has no jurisdiction. According to CEU’s President and Rector, Michael Ignatieff: “This university is and has always been in perfect and full compliance with every regulation of the Hungarian law whether it be tax, or it be accreditation, whether it be visas or work permits. We are scrupulous in our obedience and compliance with the Hungarian law. And any account of the contrary is defamatory The legislation tabled by the Hungarian government relating to higher education is targeted and discriminatory; it attacks the CEU and it is an entirely unacceptable assault on our academic freedom – and not just our academic freedom: the academic freedom of Hungarian higher education in general”4CEU Reacting to Hungary’s Proposed Legislation – Press Conference, 29.03.17 https://www.youtube.com/watch?v=0XIkvfu2inc&feature=youtu.be. Hungarian officials have commented on the situation in the state-owned media. Minister of Human Resources Zoltan Balog, in an interview with radio Kossuth, said CEU’s graduates were “professional oppositionists, and, along with Soros, they are in charge of the protests in Eastern Europe, the Balkans and CIS, as well as in Ukraine”5Balog in180 minutes, radio Kossuth, 04.04.17 http://www.hirado.hu/2017/04/05/balog-az-elojogok-megszunteteserol-van-szo/. CEU is called Soros University by Hungarian officials and media. Prime minister Viktor Orbán6Viktor Orbán is the leader of the national conservative Fidesz party that has the majority of seats in the Hungarian Parliament. He has been Prime Minister of Hungary twice: 1998-2002 and currently since 2010., commenting on CEU, said: “If one is a billionaire, that doesn’t put him above the law. Fraud is fraud, no matter who is committing it”7Orban on Soros University and the threats of EU, The Kossuth radio programme “180 minutes”, 31.03.17 http://24.hu/belfold/2017/03/31/soros-egyetemrol-es-az-eu-jelentette-fenyegetesrol-ertekezett-orban/. A day before the amendments were due to be signed, 70,000 people gathered on the Danube to protest against the bill. The vice-president of the ruling Fidesz party, Szillard Nemeth, told the MTI agency that the demonstrations were organised by Soros-funded NGO’s to “upset the border protection and force the entry of illegal immigrants”. CEU and its supporters asked President Ader to reject the amendments and send them to the Constitutional Court, but he signed them anyway. CEU released a statement objecting to the decision to sign the legislation and plans immediate legal action. According to the statement: “The legislation was introduced without consultation with CEU or with relevant Hungarian authorities and thus violates elementary standards of a due process observed in any democratic country”8СEU Disagrees Decision Sign Legislation, Plans Immediate Legal Action, Ceu.edu, 10.04.17 https://www.ceu.edu/article/2017-04-10/ceu-disagrees-decision-sign-legislation-plans-immediate-legal-action)). More than 500 prominent U.S. and European academicians, including 20 Nobel Laureates, have signed an open letter in support of CEU. Hoyt Yee, the U.S. State Department Deputy Assistant Secretary for European and Eurasian Affairs, said: “The United States is concerned by this legislation … because it targets (CEU) very clearly and threatens … this important American Hungarian institution”9“U.S., EU rebuke Hungary over ‘anti-Soros’ education law”, Reuters, 11 April 2017 http://www.reuters.com/article/us-hungary-soros-idUSKBN17D0Y0. On 11 April in Brussels, Hungary’s Minister of State for Education, László Palkovics, discussed the amendments with EU Commissioner for Education Tibor Navracsics and Vice-President of the European Commission Frans Timmermans. He said: “There is a misleading and false Soros campaign going on with relation to the Soros university. The first lie of this campaign is that if the amended Act on Higher Education comes into force then the Soros university will be forced to close… the CEU will be able to continue its operations unhindered if Hungary and the United States agree on it. Hungary is well-meaning and the Hungarian Government has made it clear that it is ready to begin negotiations”10“We trust that Brussels will not assist the deceptive Soros campaign”, MTI, 11.04.17 http://www.kormany.hu/en/ministry-of-human-resources/news/we-trust-that-brussels-will-not-assist-the-deceptive-soros-campaign. In its latest statement on the matter, the university said:”CEU is open to any lawful and long-term solution that would ensure academic freedom and institutional integrity. The solution evoked by State Secretary Palkovics in the press does not appear to be legally and operationally coherent and certain. CEU has not been approached directly by Secretary Palkovics with this information”11“CEU Calls on Hungarian Government to Initiate Direct Talks”, 12.04.17 https://www.ceu.edu/article/2017-04-12/ceu-calls-hungarian-government-initiate-direct-talks. The Steering Committee of the EU-Russia Civil Society Forum released a statement to support the CEU and Hungarian NGOs, in which it urged the Hungarian government to do everything possible to protect the civil society in Hungary((“Stop the Attacks on Civil Society in Hungary”, EU-Russia CSF, 11.04.17 http://eu-russia-csf.org/news-csf/stop-the-attacks-on-civil-society-in-hungary/. 6. ↑ Viktor Orbán is the leader of the national conservative Fidesz party that has the majority of seats in the Hungarian Parliament. He has been Prime Minister of Hungary twice: 1998-2002 and currently since 2010. 8. ↑ СEU Disagrees Decision Sign Legislation, Plans Immediate Legal Action, Ceu.edu, 10.04.17 https://www.ceu.edu/article/2017-04-10/ceu-disagrees-decision-sign-legislation-plans-immediate-legal-action)). 10. ↑ “We trust that Brussels will not assist the deceptive Soros campaign”, MTI, 11.04.17 http://www.kormany.hu/en/ministry-of-human-resources/news/we-trust-that-brussels-will-not-assist-the-deceptive-soros-campaign. 11. ↑ “CEU Calls on Hungarian Government to Initiate Direct Talks”, 12.04.17 https://www.ceu.edu/article/2017-04-12/ceu-calls-hungarian-government-initiate-direct-talks.